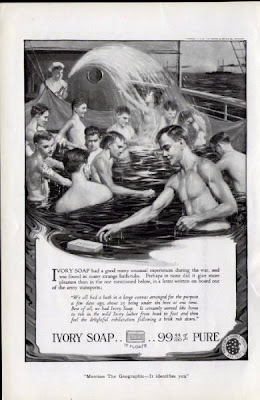 This is a genuine Ivory Soap ad from 1920. What about that bar of soap that keeps on slipping off the tub? And do men really bathe together like this in the Navy? Don't ask don't tell? Why even bother? BTW, the guy up front is very hot don't you think?